Report: This was the third beginners training trip and had been transferred from Loch Long because of the high winds forecast and the better shelter offered by the islands of Loch Lomond. In fact the wind was light and the forecast rain never occurred. 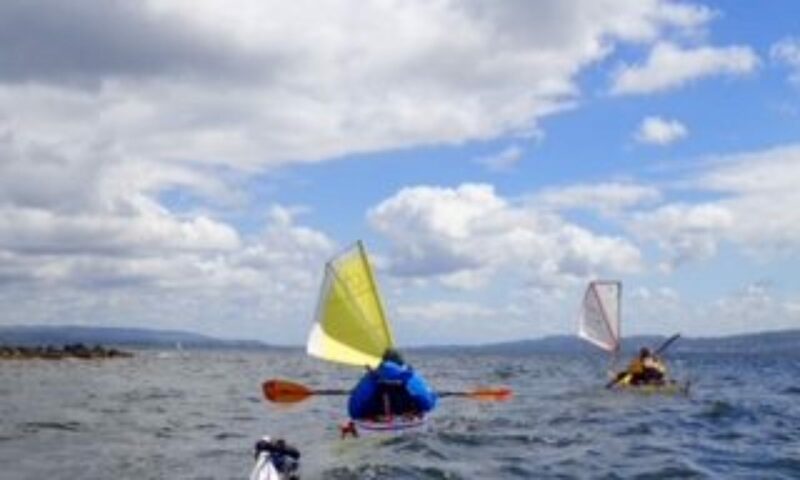 We launched at Aldlochay and Steve undertook training to investigate the different characteristics of the sea kayak and “Tilt for turning”. The sun came out! We then headed south into the fresh breeze and then east to Inchgalbraith to investigate the ruined castle before stopping for lunch on Inchmoan. From Inchmoan we proceeded down the narrows before stopping for a second time to explore the old summer house on Inchconnochan.